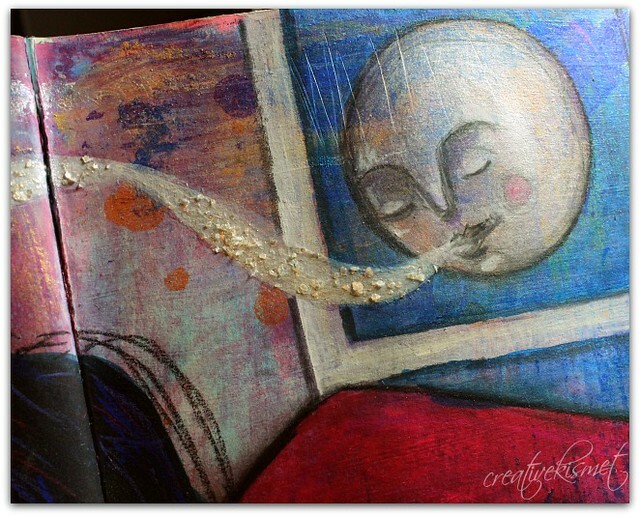 A little moon dreaming for my art journal, inspired by the super moon last night. I used my Lumiere paints for the moon and background and I am really loving the effect. 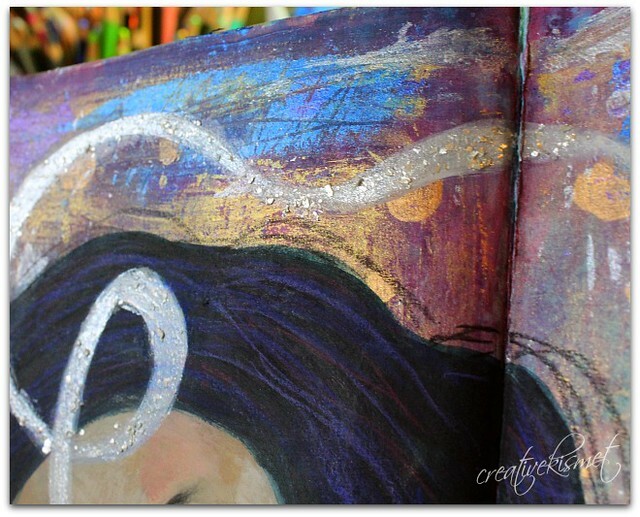 I also used my pearl mica for the star dust dream ribbon flowing through the night. 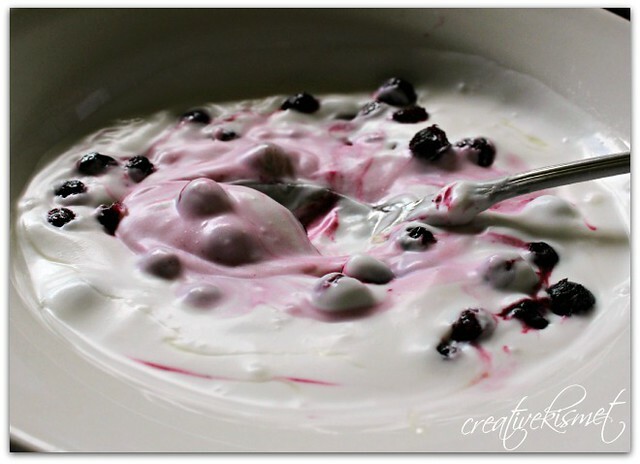 I also made some yogurt over the weekend using this coconut yogurt recipe and it worked out great! I drizzled and bit of honey and sprinkled some frozen blueberries and it was so creamy and luscious. A lovely afternoon snack. This entry was posted in Art, Food, recipes. Bookmark the permalink. Thanks Melbee!! I have several new e-courses and mini e-workshops planned. I was waiting for the kids to get back into school because it is a lot harder to make videos with them screaming in the background. You will hear more about it soon! Your style is always so wonderfully original and so evocative. I like this piece especially, with the flow and rhythm of the lines and the shapes. The yogurt sounds fantastic! I thought I had made a good discovery by chopping up a juicy ripe plum into my peach yogurt yesterday… but the coconut sounds even better! The yogurt was very tasty, but now I need to find some plums! 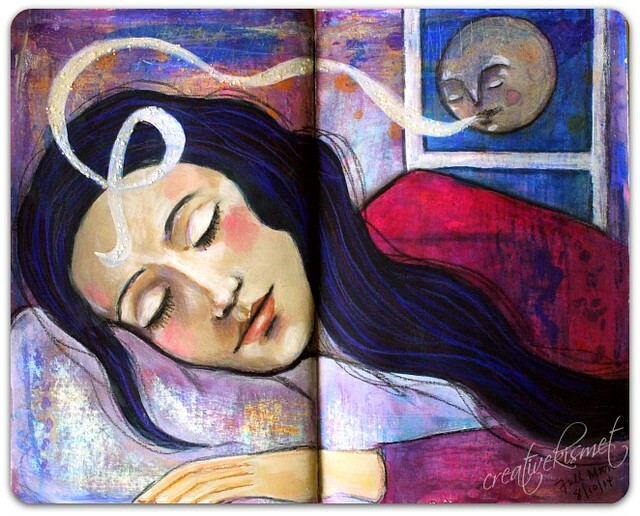 I love your moon dreaming page, its so very beautiful. Hi! Love your artwork! Your faces are some of the best I’ve seen! Looking forward to enjoying more of your work!